My own childhood has inspired how I parent now that I am a mum. Growing up on a farm in beautiful west Wales that was a stone's throw from beaches and woodlands we spent countless hours play, exploring and having adventures in the great outdoors. Having experienced the joy and benefits of playing outdoors can provide I am passionate about raising my children in a similar way. With that in mind and my love of the great outdoors still strong I am enthusiastic about having lots of adventures in the great outdoors. From when Bug was a young baby I have ensured we spend a great deal of time outdoors having lots of fun and new experiences. 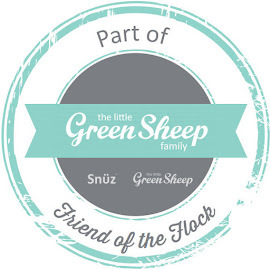 Over the years we have made so many memorable memories together in the great outdoors and Bug has had lots of fun and learnt from the environment. When Jelly Bean was born I wanted to make sure that adventures with Bug would not come to an end and that Jelly Bean also enjoyed and experienced the wonders and adventures we love as a family. 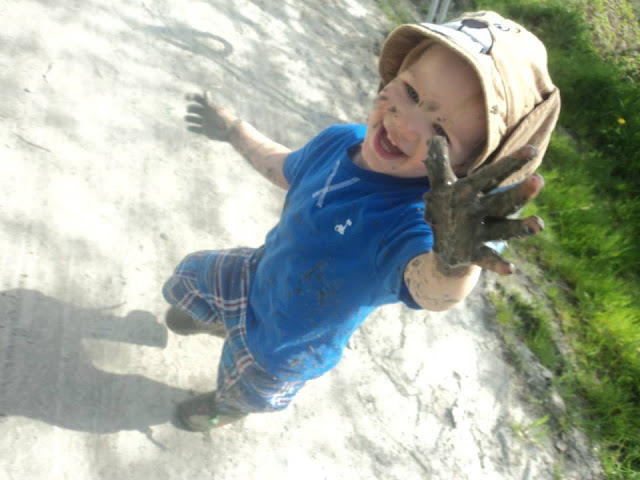 As I believe that adventures and time in the great outdoors is stimulating to a child’s mind and senses, educational, introduces little ones to the world around them and great for their physical health we enjoy adventures galore as a family in beautiful places such as beaches, woodlands, mountains, and parks. 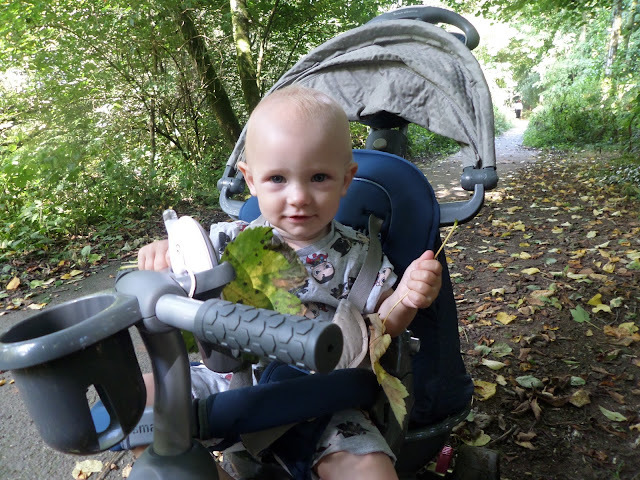 To keep up with Bug allow Jelly Bean to be part of the adventures babywearing has been a lifesaver…..it is thanks to babywearing that Jelly Bean saw the beautiful sights of a coastal path trek before having lots of fun and play on a stunning, secluded beach. 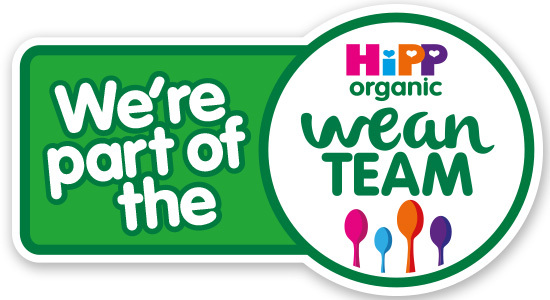 Whilst babywearing is amazing and Jelly Bean loves being carried as he is getting older I have noticed he is envious of Bug when he is racing around on his bike or scooter whilst we are on walks together as a family. 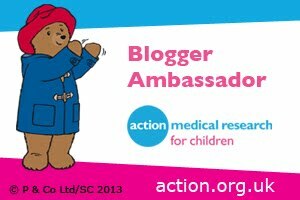 Also whilst we encourage him to explore his environment and get stuck in with nature - for example playing on the sand in the sea at the beach, and exploring his surroundings in parks and gardens - as he is only slowly toddling and we have adventures in a number of different surroundings some of which are not really ideal for a baby uneasy on his feet sometimes allowing him to crawl or walk is not always the best idea. So that Jelly Bean does not feel left out and can have his own mode of transport - a more fun than a stroller mode of transport at that - we jumped at the chance of working with smarTrike. With our love of the great outdoors and embracing new experiences we could not wait to take part in smarTrike’s #smartDiscoveries campaign. 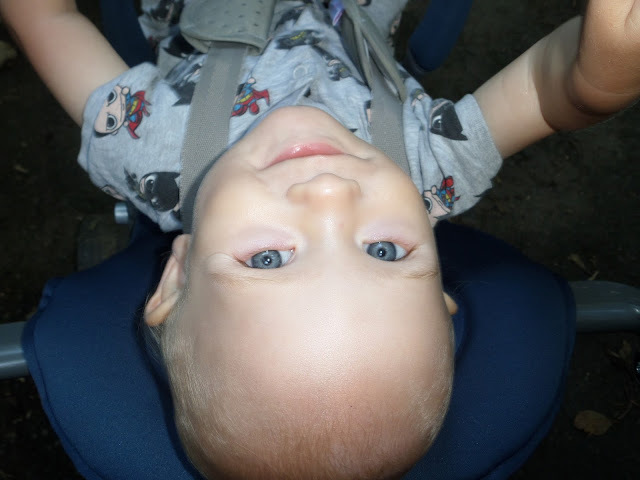 The #smartDiscoveries campaign strives to highlight daily discoveries from a child’s eye view when using a smarTrike. 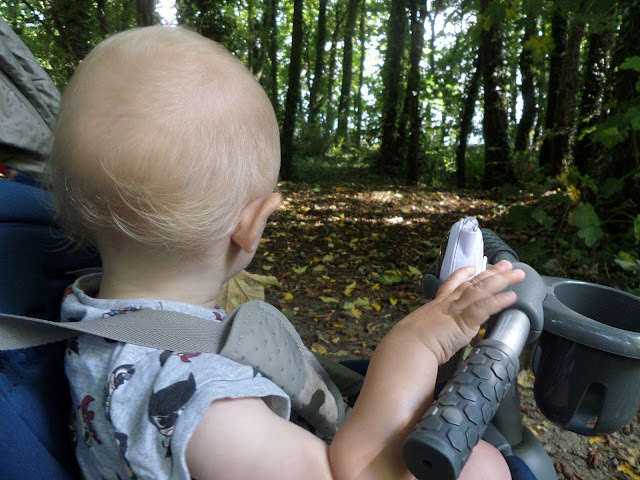 A smarTrike allows a child to see the world around them, seeing new wonders as they ride on their trike that is stimulating and exciting for little ones. 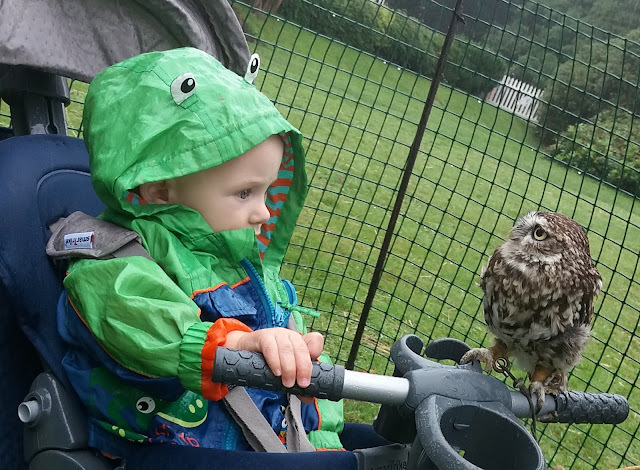 Seeing an animal for the first time, a fire engine race by with flashing lights and sirens, and seeing nature in all of its glory are just a few things that are wonderous and that brings joy and a happy glint to a young child’s eye. 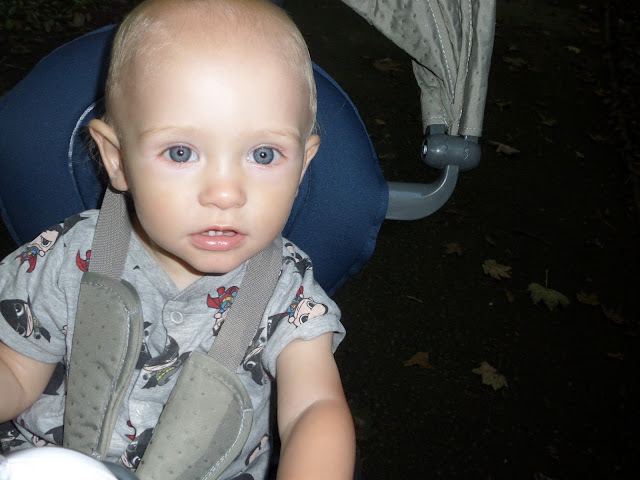 Thanks to smarTrike they can see and experience all of this and so much more! 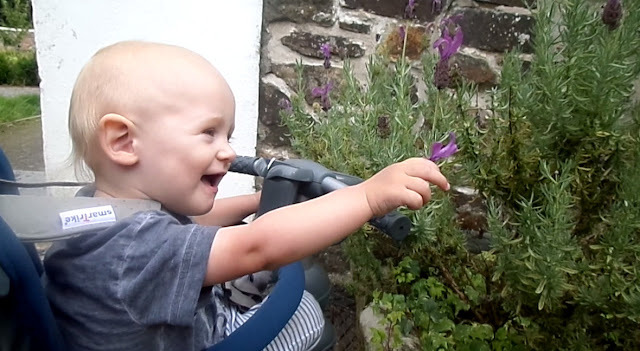 As well as helping them see what the world has to offer and their surroundings, a smarTrike is also the perfect way for them to interact with the environment - touching and smelling flowers for example. 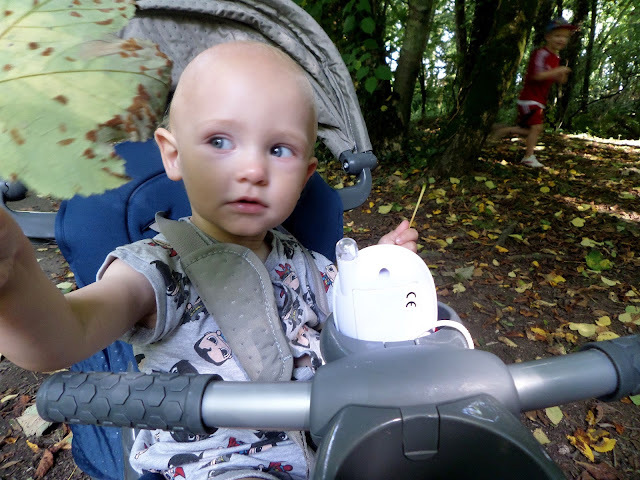 Thanks to smarTrike Jelly Bean has been experiencing a whole host of #smartDiscoveries and unique experiences from the comfort of his new 5-in-1 smarTrike. 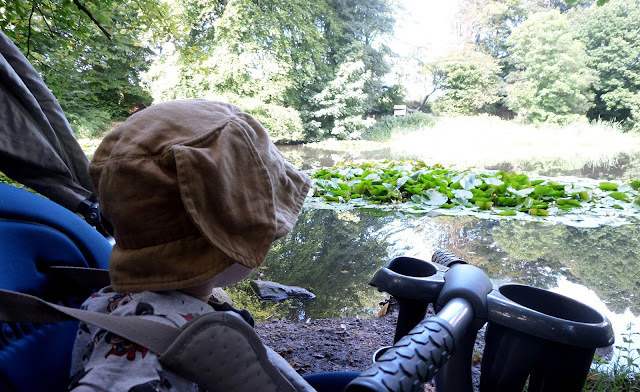 Since his smarTrike arrived we have already had a whole host of adventures and Jelly Bean loves being able to see our surroundings from his smarTrike. 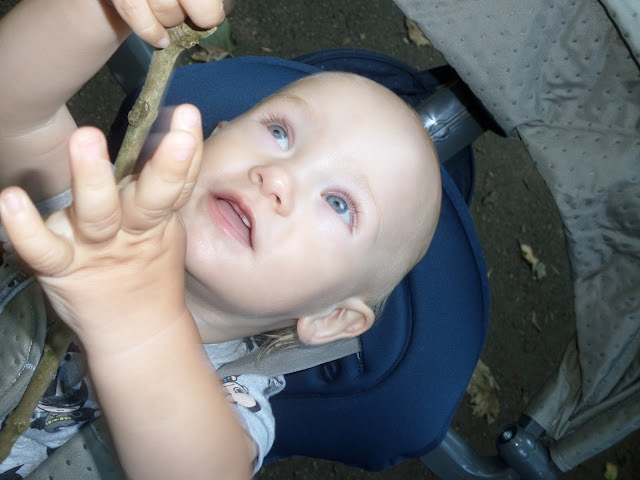 We have explored the woods where he has raced behind his big brother, met people and dogs who have stopped for chats, embraced nature feeling and playing with leaves and sticks; and looked up, down, around and everywhere to see all the sights! 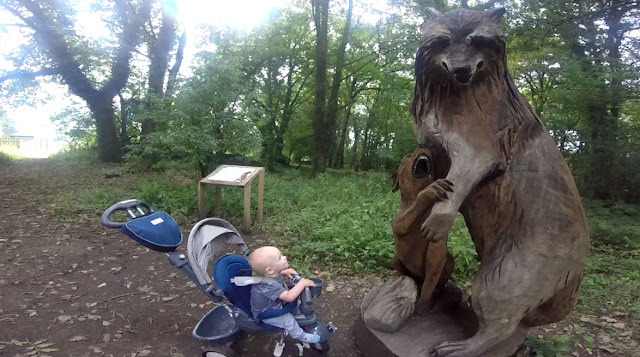 We have gone on a magical hunt at Scolton Manor in Pembrokeshire to experience myths and legends. We have viewed the beauty of lakes and the creatures, birds and animals that call them home. We have had lots of fun making phone calls whilst adventuring. We have met new animals with Jelly Bean getting to say hello up close and personal which has been a truly unique and memorable experience. We have smelled the flowers and Jelly Bean has loved getting close enough to touch and interact with them. We have loved having adventures with big brother. 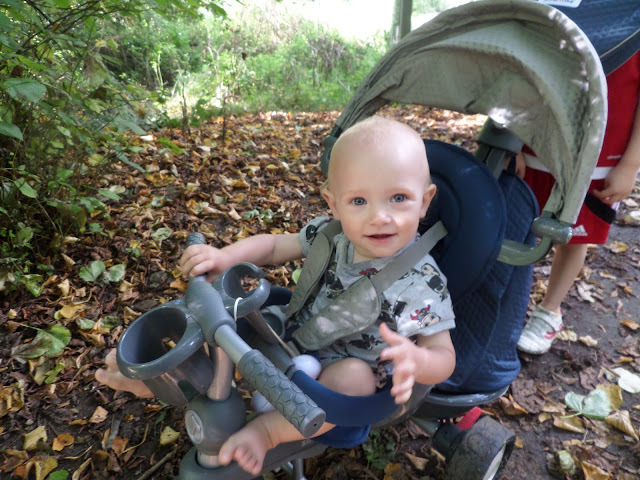 We will be having lots more adventures and #smartDiscoveries as a family with Jelly Bean comfortable and protected in his smarTrike thanks to the reclining padded seat, harness, footrest, and removable UV canopy. With the smarTrike being easy to push and steer - one handed steering! - and adjustable parent handle his big brother can push him along too. The smarTrike is also practical for parents too thanks to the large storage bag that can hang from the parent handle above the smarTrike’s basket, smaller storage bag, and child cup holder. 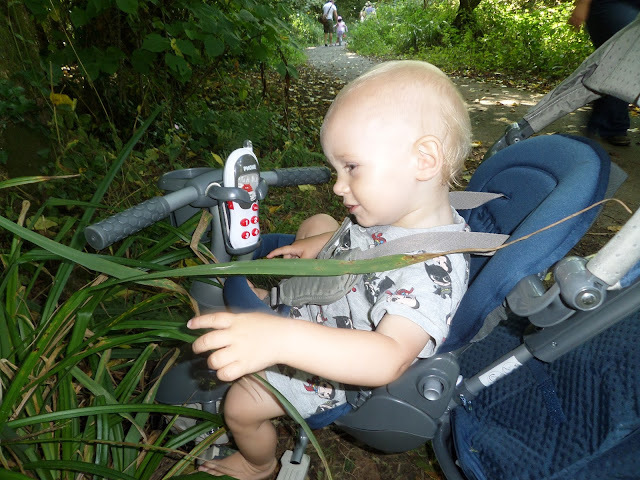 What Jelly Bean loves the most about the smarTrike apart from being able to see and interact with his surroundings so easily is the fun toy phone that comes with it! 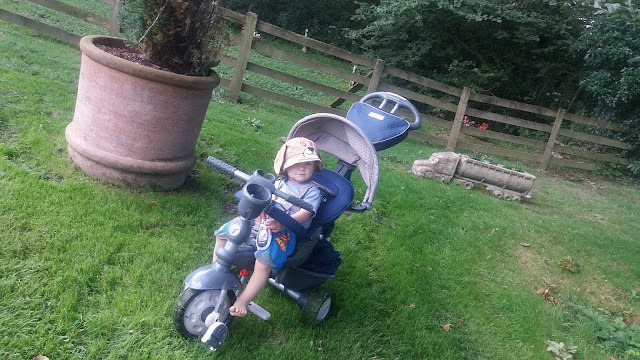 So that Jelly Bean can carry on having lots of #smartDiscoveries for a long time to come that smarTrike grows with him being suitable to use from 10 months until he is 3 years old when he can use it to ride along as a stand alone trike. 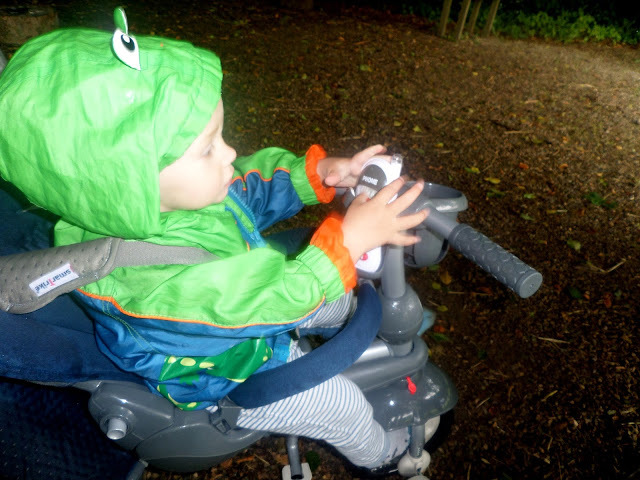 To find out some of reasons why using a smarTrike is good for little ones take a look at the 10 reasons to get your toddler riding article by play expert Dr Amanda Gummer. 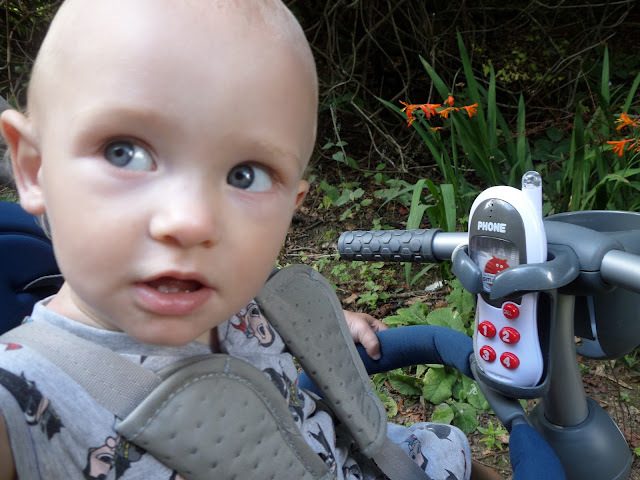 Does your little one have a smarTrike? 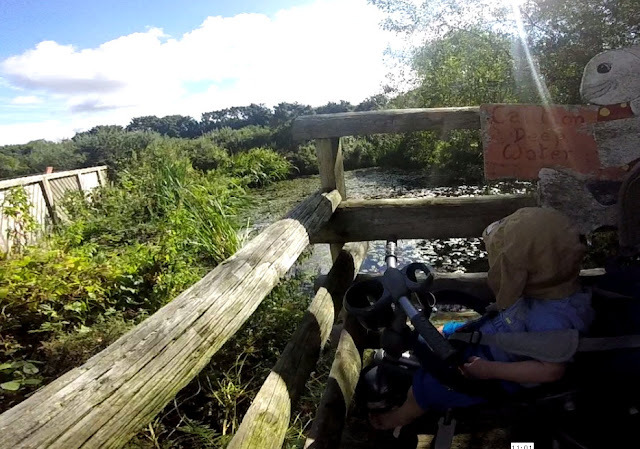 What #smartDiscoveries have they made whilst being out and about riding their smarTrike? 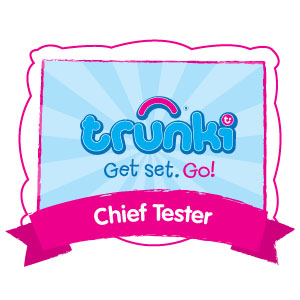 Smartike looks great and your little one seems to love it. I always feel bad for the kid in the pushchair that can't see anything! Loving all the outdoor adventures too. 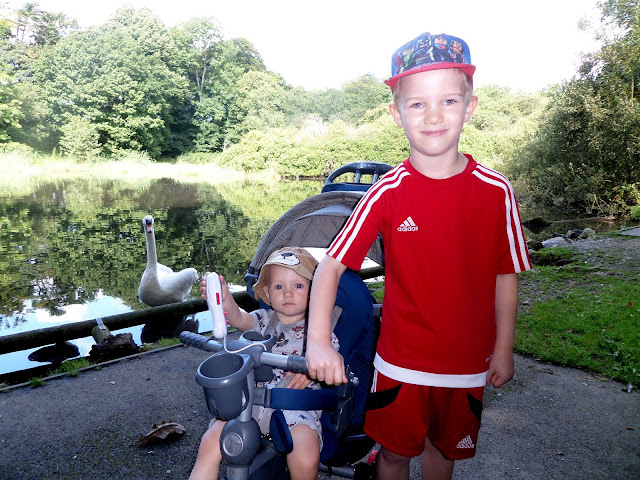 The Smartrike looks fab such a good idea to get them out of the pushchair and have fun outside. Aw I love the video. Looks like you went on some great adventure. We do have a smart trike but it's not as fancy. I got it 3 years ago. My youngest could use it now. It's a shame I didn't get it out during the summer. My son had one like this when he was a baby, they were great fun and he loved it!